When using the computer on a daily basis, we often have to open and close the DVD drive door. However, this can be a bit of a hassle if the computer case is be under the table or if we have a laptop with the awkward side DVD drive door. The Door Control software will help you resolve these issues. The software shows the button for opening and closing the DVD drive door in the system tray. A single click will open or close the DVD drive door. You may also assign a hotkey for this function. In comparison with similar software, Door Control uses a special algorithm to recognise whether the doors are open or closed. 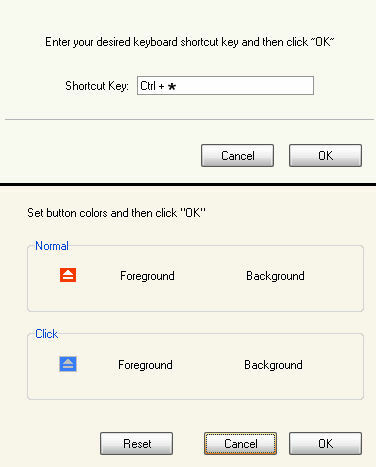 A single click is enough to open or close the DVD drive door.The user may customise the colour of the button, assign a hotkey and launch the software at system start-up. The Door Control software is very small and uses a very small amount of RAM for its operation.